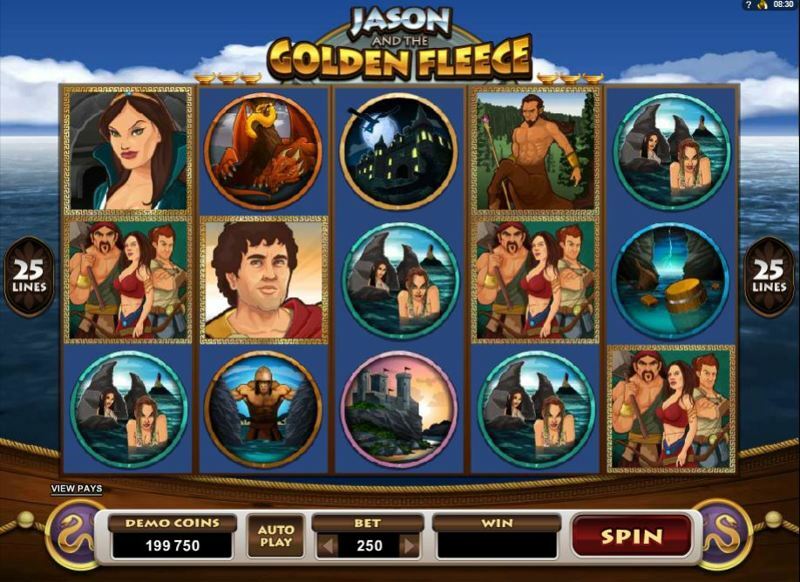 Jason and the Golden Fleece is one of the most exciting and enduring stories ever written, whether your knowledge of it is derived from a book or a film, Microgaming has created a credible version of the epic story in slots form. This 5 reel, 25 payline game offers very little in innovation to players and anyone comfortable with a Microgaming slot will be pretty familiar with how this one functions. The risk of monotony, however, is more than kept at bay with the range of scatters, free spins and bonuses that are on offer. The story of Jason and the Golden Fleece is more than 3,000 years old and it originated from Greece. While the story tells of Jason’s search for the Golden Fleece, the main aim of the adventure was to claim back the Iolcos Kingdom, which was under the reign of King Pelias. Jason was assisted on his adventure by his crew, who were named the Argonauts. The animated feel of the game works extremely well and there are a number of characters and bonus features to look out for. The symbols are related to the areas that are explored so you should look out for Colchis, Sirenum, Crete, Symplegades, Mysia and Iolcus. The Argo, Jason’s ship is represented, as are the Argonauts, Medea, Chiron and Jason. 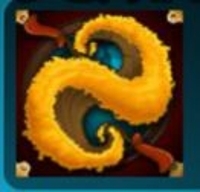 The scatter symbol is the Golden Fleece. The smaller bonus is the free spins bonus and this occurs when you land a minimum of Jason and the Golden Fleece logos. It is possible to win 10 free spins and every prize will be multiplied by 3. It is possible to re-trigger a greater array of spins by landing on more scatter symbols, while it is also possible to trigger the bonus of Jason’s Journey within this round. 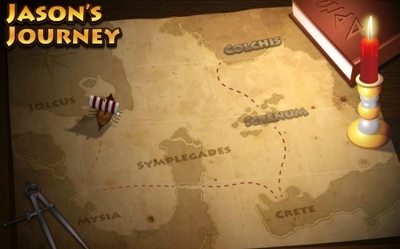 The main bonus feature of the game is Jason’s Journey and the premise takes the player from one bonus game to the next, completing the tasks that faced Jason. On the initial trigger, only one bonus is available but more are provided as the game progresses. The symbols to look out for with respect to engaging with Jason’s Journey are the shield of Iolcus, the Harpy of Mysia, the shipwreck of Symplegades, the wheel of Crete and the card bonus round of Sirenum. There is also the Colchis Potion bonus where a player tries to concoct a sleeping potion and then wins prizes based on how long the dragon sleeps for.